A lot of people have confusion on how to become a qualified registered engineer in Malaysia, and how to increase engineering mobility in South East Asia. Register yourself as a Graduate Engineer (Jurutera Siswazah) with the Board of Engineers Malaysia (BEM) - Lembaga Jurutera Malaysia. Make sure you have a engineering degree qualification which is approved by BEM. 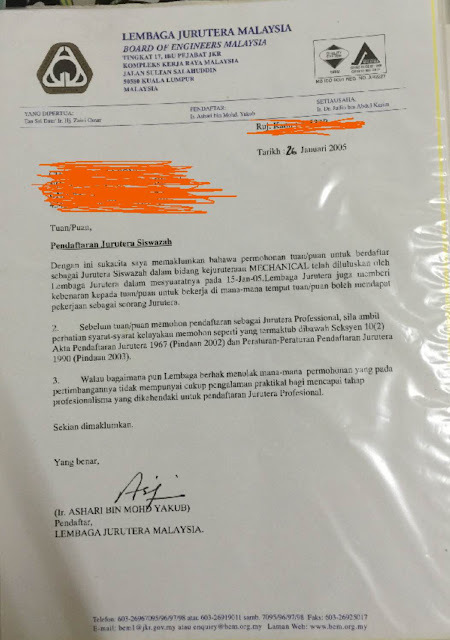 If your registration been approved, you will receive the confirmation slip from BEM within a few months. 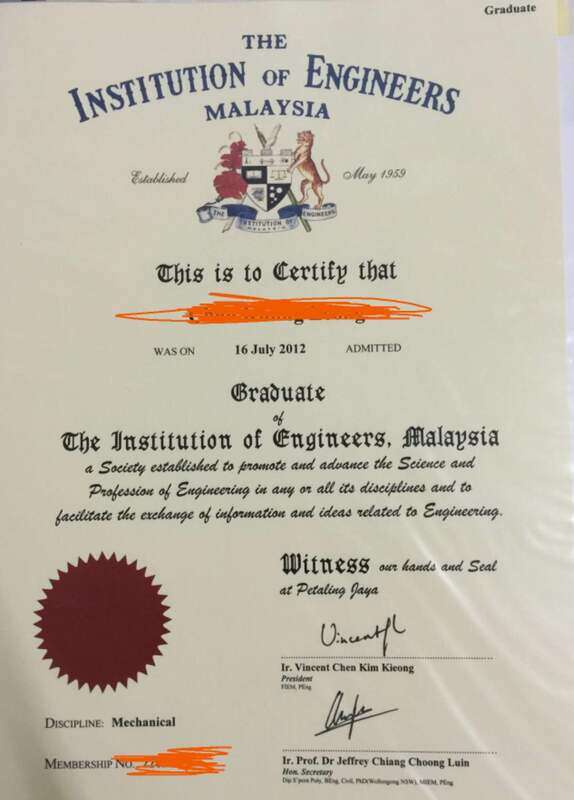 Register yourself as a Graduate Member with the Institution of Engineers Malaysia (IEM) - Institusi Jurutera Malaysia. After your membership been approved, you will receive the confirmation slip from IEM within a few months. Nowadays engineering profession become global. Becoming a global engineer have many advantages, including more employment opportunities and networking. As for me, after obtaining the Graduate Member of IEM, I proceed with Associate ASEAN Engineer registration (AAE). 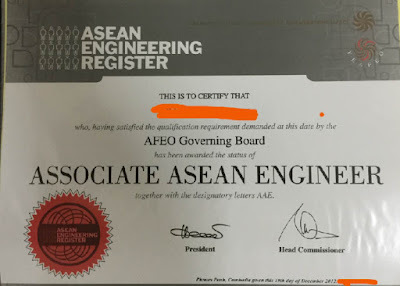 After registration approved, you will receive a certificate, medal and you will be part of the ASEAN ENGINEERING REGISTER online engineer database. For those who interested to know more, kindly contact me! !